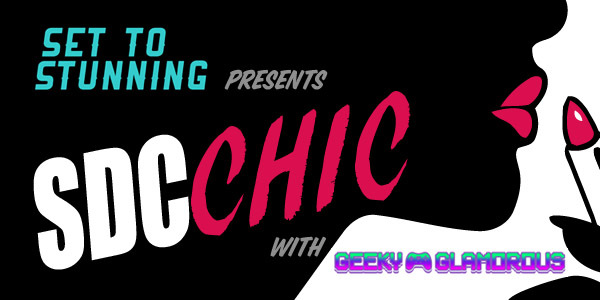 This week we’re featuring various geek fashion bloggers in our very first SDCChic. Each one has put together two day and two night outfits befitting of the biggest geek weekend of the year. 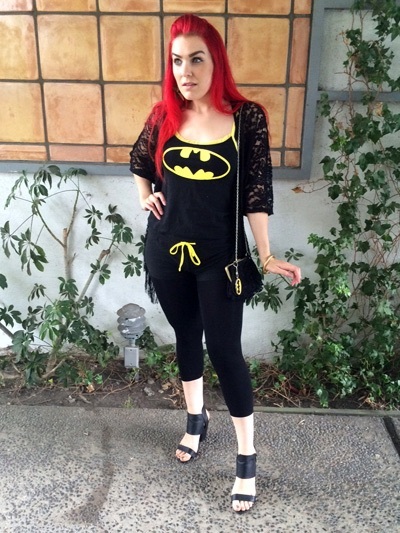 Today we’re have Mandie of Geeky Glamorous fame. 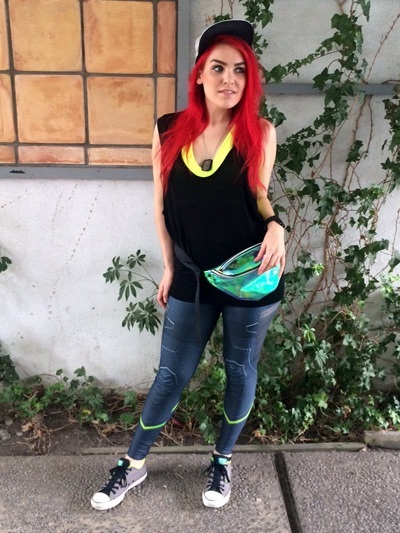 Mandie focuses on outfits of the day, local events, giveaways, and even had her wedding featured on SyFy. She even included a discount code for one of her pieces, so let’s have a look! The first two outfits features GI Jane leggings (by artist WODzilla) from Bombsheller (use code GeekGlamSDCC for 10% off). 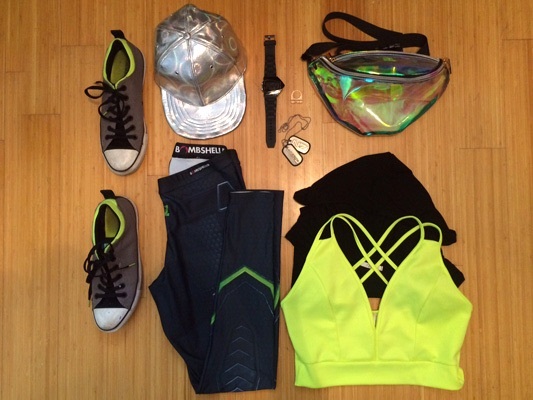 She makes great use of metallics and neon colors to keep the outfits cohesive but different for each scenario. 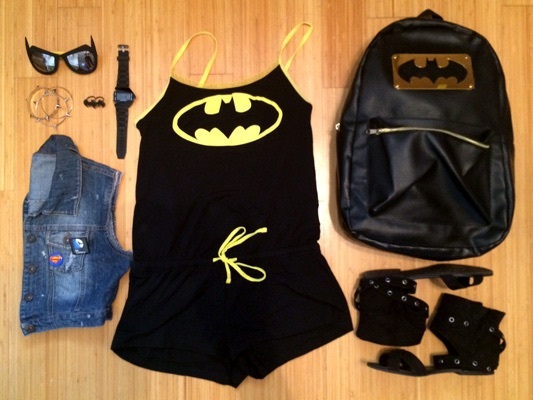 Her second set of outfits features a Batman romper from Underboss. These outfits really show off how easy it is to go from day to night with a few simple accessory changes. 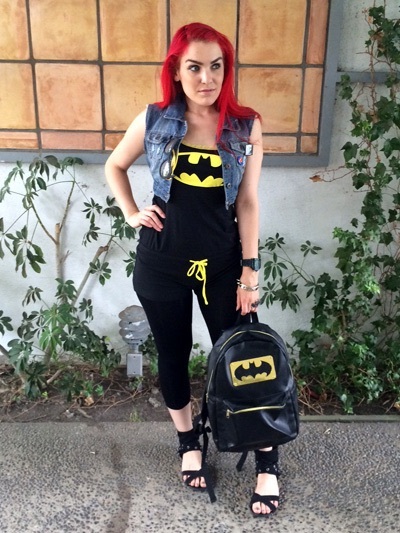 A huge thanks to Mandie for sharing her unique geek style and coming up with some great outfit ideas! 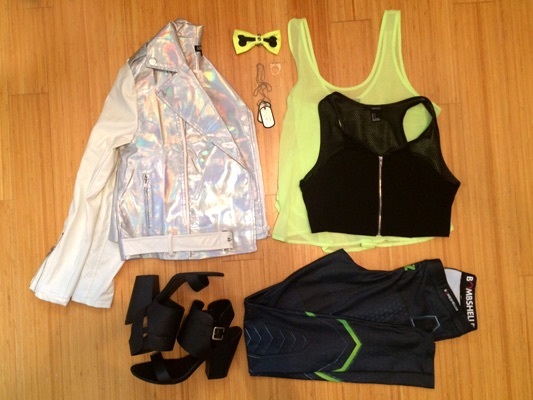 Don’t forget, if you want to share your looks, tag them with #SDCChic and let us know!